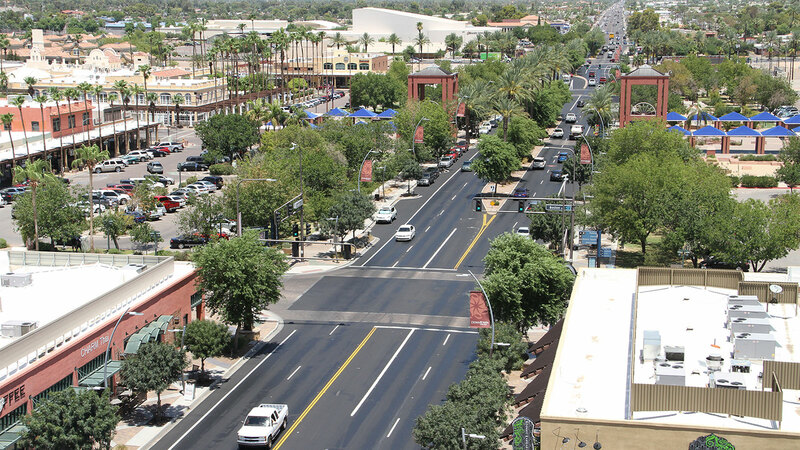 Valley Metro and the city of Chandler have initiated an Alternatives Analysis (AA) study to evaluate high capacity transit options in a corridor that would connect downtown Chandler to high capacity transit in the Southeast Valley. An Alternatives Analysis (AA) is underway to identify which type of high capacity transit, such as bus rapid transit, light rail, or modern streetcar, will best meet the area’s transportation needs. The AA will also evaluate the potential route for high capacity transit within the study area. Following the AA, the recommended transit type and route (the “locally preferred alternative”) will move forward for input from the community and elected officials. Community outreach and engagement will be conducted throughout the study, including public meetings and updated website information. Valley Metro, in partnership with the cities of Chandler and Mesa, and the town of Gilbert, recently completed the Fiesta-Downtown Chandler Transit Corridor Study. It identified potential land use adjustments and transit investments in a study area encompassing southern Mesa to downtown Chandler. Transit improvements could include local bus service and high capacity transit options to meet demand.